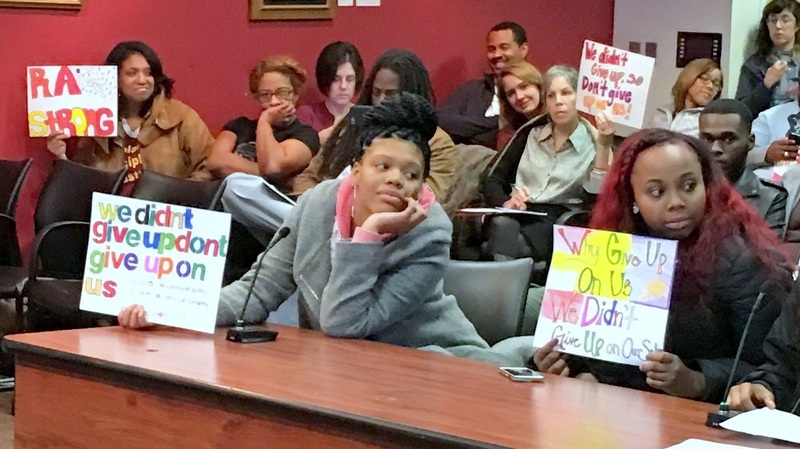 As Baltimore students have so many times before when their schools were about to be shuttered, Renaissance Academy students spoke movingly before the school board recently about how the school is “like a family” to them. While some might dismiss this testimony as nothing more than sentimentality, their pleas have been about salvaging the very elements that make schools places that work for communities. Framing the closures as short-term losses worth suffering for the long-term gain of school consolidation amid shrinking enrollment, school officials grimace and move on. The student casualties of this process don’t have that luxury. Consider the steep challenge for two recently-merged West Baltimore elementary schools – John Eager Howard and Westside. With over 400 students in one building now, the staff must struggle mightily every day to ensure a good school climate. The principal and her team work hard and creatively to head off the worst problems but given the numbers they can only do so much. The students do not know each other and the staff does not know all of the students. There are misunderstandings, fights, and little time to resolve conflict and build positive school culture. This is happening in a larger environment that runs counter to what’s referred to by educators as “personalization” – a school design feature that allows for smaller classes, block scheduling and home visits. And we know from research that personalization helps students – especially low income students – learn because it allows for the teacher-student relationship to thrive, to pinpoint academic and social emotional needs that students bring to the classroom and to build the connection that students have to school. Let’s protect students from the unintended consequences of school closures. And let’s be honest, without dismissing fiscal constraints, about how Baltimore ended up with a policy that so grievously hurts our children. Baltimore has been suffering with school closure for the past few years as the implementation of the 21st century plan to improve public school buildings gets put into practice. The plan, initiated in 2012, was meant to renovate all city school buildings, many of which are old and falling apart. Money from the state of Maryland was provided on the condition that the city school system close its most under-utilized schools. 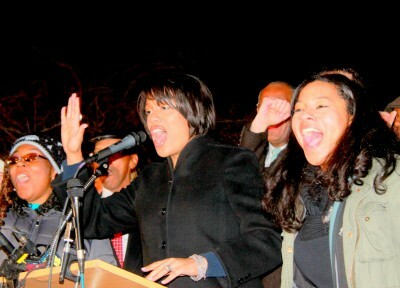 To gain the funding for renovation, Baltimore City Public Schools agreed and the process of school closure began in earnest in 2013. 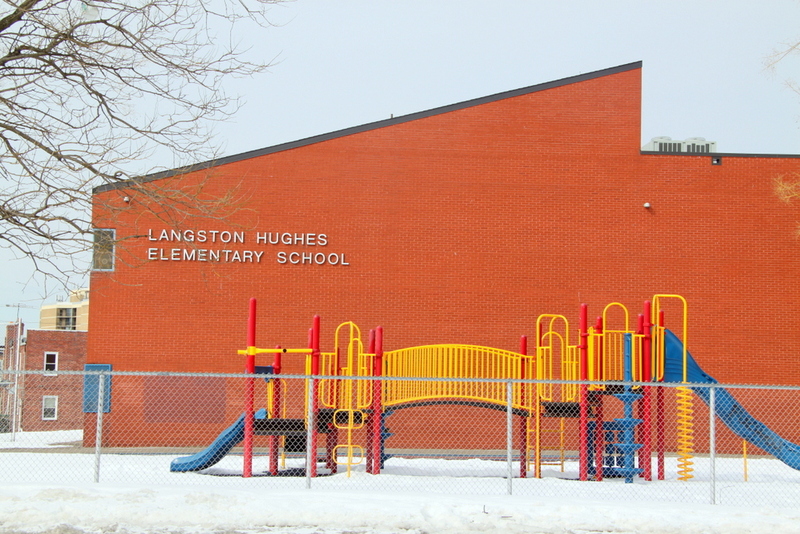 Several schools have closed, including Langston Hughes Elementary school, a recently renovated building in the Park Heights neighborhood. The school had air conditioning and was in great condition, but it was under-enrolled. It was built for over 300 students and only had 176 when it closed. The announcement of the school closing produced an exodus from the school, local activists argued, not the other way around. Under the 21st century plan, 26 schools in total are going to close. There has been vigorous, organized opposition to these closures which has been ignored because of the district’s agreement with the state. The closures are a reality, and the district does not question whether they were a good or idea or not. The reality for students students attending closed schools is that they are sent to existing school buildings, merging the two small schools, and swelling their numbers. But as we have seen with schools across the country, it’s a policy that collides with what research says is best for children. Rather than close schools, it would make sense to provide smalls school environments that allow for personalization to exist. Personalization is especially effective for low income students – the majority of Baltimore’s student population – in large measure because it affects school climate. As the CEO of Baltimore schools announced early in her tenure, there needs to be more attention to improving school climate. So what is stopping the school system from providing those nurturing “small-school” environments? One limitation is financial. It is expensive to maintain school buildings, and with school budgets being slashed every year, it is even more difficult. The ACLU of Maryland is one organization that works to ensure that city schools receive the funding that they are due. Sometimes it works and sometimes it does not work as well, but pushing for overall increased funds is certainly an organizing effort in which everyone who connects with city schools should be engaged. The second constraint is that the city promised the state that it would reduce the number of schools. This is also an important argument. The city must hold up its end of the bargain. Yet, there were real unintended consequences with closing schools, not the least of which are the school climate issues mentioned above. Just the process alone of informing communities that their schools are closing has caused an uproar in every school community facing a closing. For schools in neighborhoods already facing severe challenges, the closures push them further in the vicious cycle of disinvestment. A case in point is Renaissance Academy, located in the West Baltimore community at the center of the uprising following the death of Freddie Gray, a young Black man who died in police custody in April 2015. The school was slated for closure some time ago. In 2015, Renaissance was on the closure list, but was taken off when there was pushback from the school community. The city school board has been sensitive to some of the concerns expressed by community members since the Uprising. At the time, thousands of city residents, including young people, took to the streets protesting police brutality and the conditions that have produced limited opportunities and police violence in Black communities for decades. A couple of months later, the CEO announced that the school would close unless it could be relocated. This has posed a new set of problems to resolve. In many ways this is an example of why urban school reform is so difficult. The policy does not emerge from research and the research does not matter when it comes to decisions that need to be made quickly and with limited resources. That said, strong relationships and trust are central to school success. What should be done? What is a cash-strapped city to do to create school environments that support students and communities? The first order of business could be to deal with the issues openly and honestly. Explaining the conundrum that the city is in and the role that the 21st century plan plays is important for everyone to understand. Another step could be to have a process for working out what happens to schools when they need to close and/or merge and to have an open and transparent process for decision making, and a set of supports and procedures in place so that schools are not on their own to sort out the climate issues that come from absorbing hundreds of new students. I have seen this firsthand and it is very challenging for schools. One idea would be to have smaller academies within the larger schools and teams of teachers and community partners that work together to support those students very directly. This would require the central office, along with community partners, to focus much of its efforts on helping school staff do this. This may seem like a daunting task, but if Baltimore’s schools are going to move forward positively from its school closure dilemma, they may not have a choice. – Jessica T. Shiller, an assistant professor at Towson University, is the author of “The New Reality for Suburban Schools: How suburban schools are struggling with low income students and students of color in their schools.” She has researched and written extensively about urban school reform.